​Our club offers an introduction to synchronised figure skating for our members - both children and adults. Synchronised figure skating is a dynamic and popular sport, where skaters skate in a team, performing moves with elegance and grace. 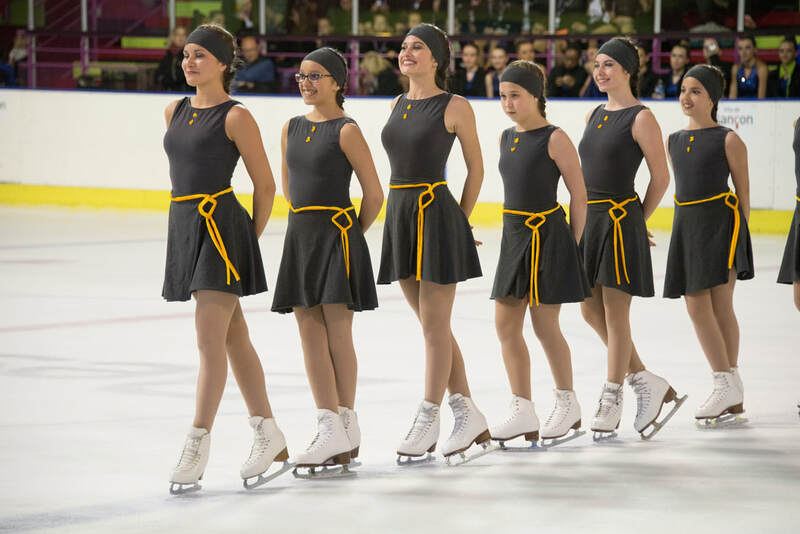 Whilst our club remains a figure skating club at heart, we believe that including an element of synchronised skating provides our skaters with new experiences and skills. 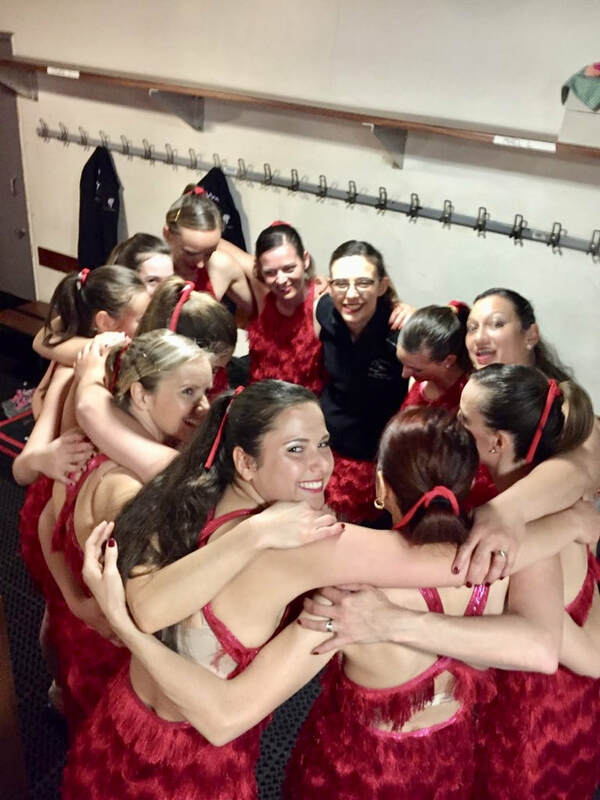 Our journey into synchronised skating began in 2017 when we created our first two synchronised skating teams – the « Perce Neige », a team made up of our competition skaters and the « Cosmiques » which brought together our adult skaters. Both teams were quick to try their hand at a competition, taking part in the Coupe de France 2017 which was held in Besançon. 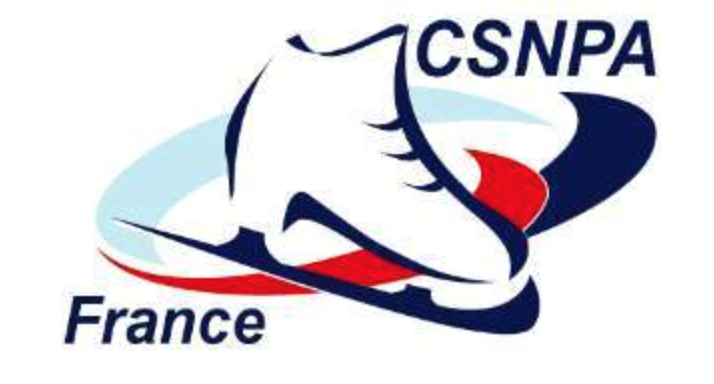 In 2018 the teams returned to the ice at the Coupe de France in Brest, with improved performances, moving them up the rankings. This year they have already competed in the Coupe de La Confluence in Lyon and will return to the Coupe de France in Le Havre in April. Synchronised figure skating brings together between 10 and 16 skaters (plus 4 reserves) in teams which can include both men and women. The aim is to achieve perfect synchronicity in time to the music, whilst performing technical elements such as the block, the wheel, or the intersection..
Synchronised figure skating had its infancy in Canada and Northern Europe at the beginning of the 20th century and quickly became a very popular sport. ​French teams continue to perform strongly at an international level and here, as in other parts of the world, it is considered both a recreational and a competitive sport. It is a uniquely collaborative discipline, which holds an attraction for all skaters, whatever their standard of skating.